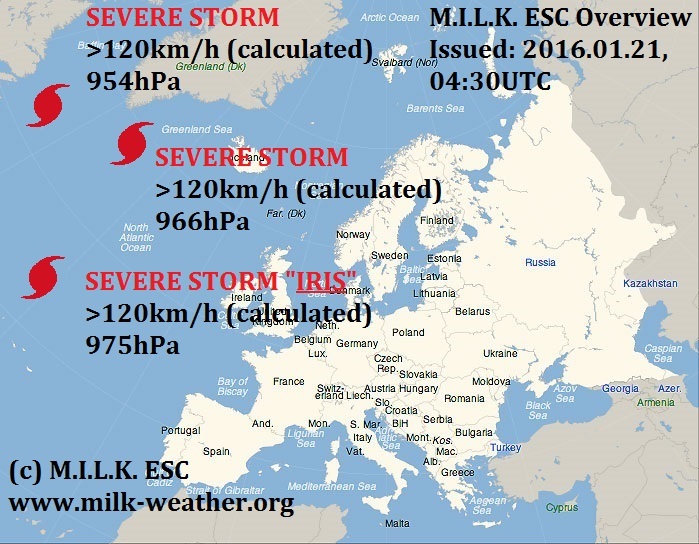 There are currently three powerful storms located over the northern Atantic, however the majority of Europe will stayx safe in the coming 48h. 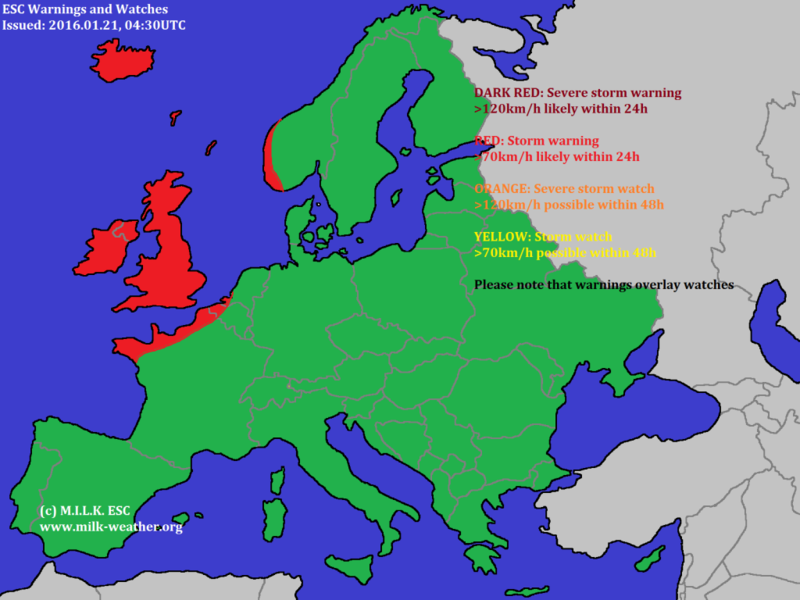 A couple warnings have been issued for teh British Isles and surroundings. See the maps for more information. This entry was posted in Uncategorized on January 21, 2016 by Linus Höller.